“Throughout my life I have always attempted to hide my disability. When I began my scholarship story, for the first time things were different. FSDP already believed in me; I had nothing to prove. This was a massive boost and I felt that I had found an escape in my life where the pressures of my disability were removed, somewhere I was accepted and valued. This was a great relief and weight off my shoulders. Having the opportunity to meet people of different ages and disabilities benefited me immensely, as I had never had the chance to meet people older than me with a disability. This allowed me to see that disability isn’t a barrier and hearing other peoples’ stories restored my hope that one day I too can be happy, with a family of my own. After being awarded my scholarship, as always, I set out to prove myself and make everyone proud. After all, this was an extraordinary opportunity and I didn’t want to disappoint. Set in my ways, I decided upon my own expectations of what I should achieve. When I began my flight training I soon realised I wasn’t going to achieve everything I wanted to; this hit me hard and was a huge setback. I was extremely disappointed with myself, but was reminded that these expectations were not shared by FSDP. With their support I overcame this hurdle; and to my surprise, it was this particular setback that became the event that shaped my scholarship into the success it was. 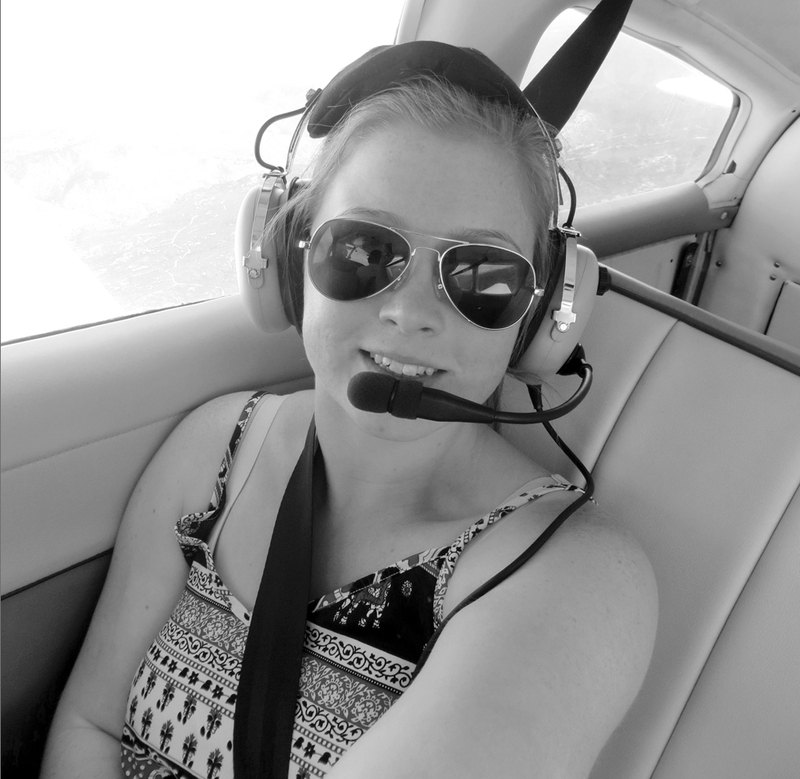 Before my scholarship I had never accepted my cerebral palsy; flying provided me with the opportunity to challenge my disability and myself. My setback made me realise that my cerebral palsy is a part of me. It slows me down but, it doesn’t have to stop me; I just have to be patient and give myself time. My scholarship experience taught me to acknowledge my achievements, to take a step back from time to time and look at how far I have come. My focus before was always on how far I had to go to get to my destination. But now, thanks to my scholarship, I can see the successes of my journey while still holding onto my determination. I have learnt that the art of enjoying life is to recognise your achievements and accredit yourself to them. I now, at times of difficulty, reflect on my progress and take the time to be proud of myself; something I had never done before. This new positive approach to situations has changed my life and improved my well-being dramatically. I am now happier within myself and with managing my limitations. Furthermore, as a result I have secured a job I am delighted with, where I can continue to challenge myself and overcome perceived boundaries with time and patience. Without my scholarship I don’t think I would have found the morale to pursue my chosen career.